Lot 1. Hampton VI. MODEL HOME/Sales Office. Fabulous plan features back staircase w/ wall of windows to enjoy gorgeous golf course view. Kitchen w/ large island, hood, gas cooktop, wall oven & TWO pantries; beautiful quartz. Gas fireplace w/ shelves in family room. Luxurious master suite w/ storage galore in bathroom & closet. Lower level provides two more spacious bedrooms w/ walkin closets & rec room. Convenient hwy access to all parts of the city! Just minutes from the Legends. Experience golf course living! 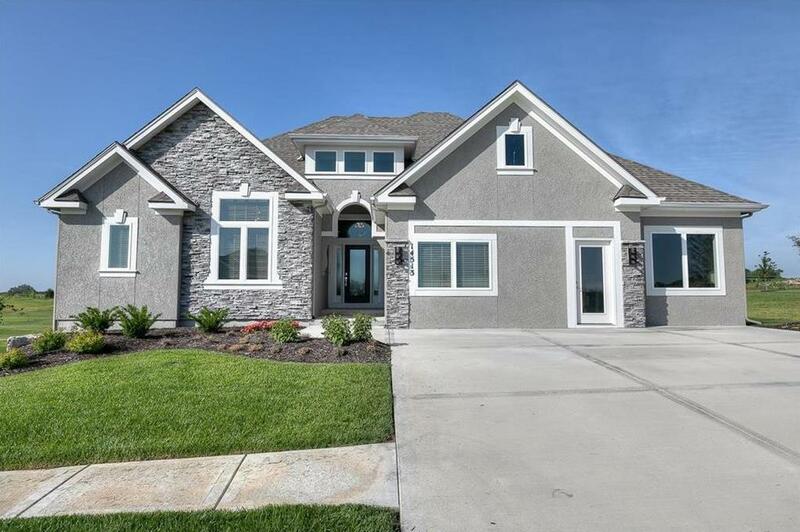 14513 N 145th Street (MLS #2125310) is a traditional single family home located in Basehor, KS. This single family home is 2,642 sqft with 4 bedrooms and 3 baths. This property was listed on 08/16/2018 and has been priced for sale at $449,900. Nearby zip codes are 66012, 66086, 66109, 66221 and 66227. This property neighbors other cities such as Bonner Springs, Kansas City, Lenexa, Overland Park and Tonganoxie.